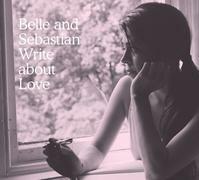 Back after a five-year hiatus doing solo projects, soundtracks and more, Glasgow's beloved Belle and Sebastian have returned with one of their finest albums. Marrying the intimacy of early work like Sinister and Tigermilk with the production values of their more recent work, Write About Love is a varied, captivating and occasionally disturbing trawl through the mind of Stuart Murdoch and his colleagues. The album features duets with Norah Jones and actress Carey Mulligan.